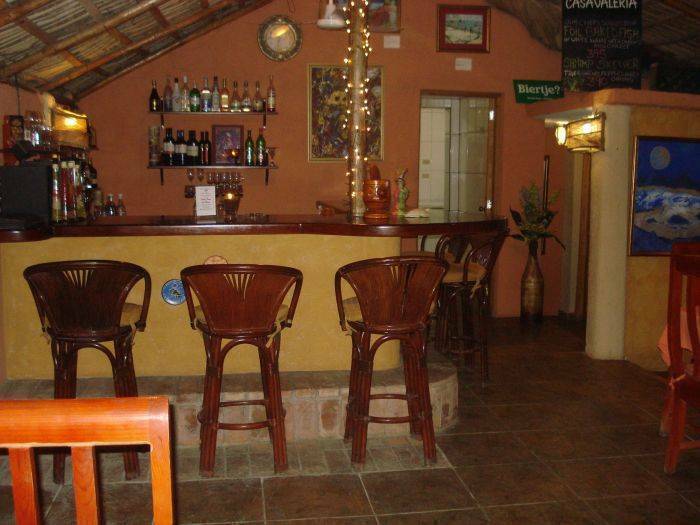 Situated in the centre of Sosua, in a quiet street connected to two main roads, at the border of the centre of Sosuas nightlife with many restaurants and bars, only 5 minutes walk from the gorgeous bay and beach of Sosua, you will find Hotel, Restaurant & Bar Casa Valeria. The Hacienda style hotel is situated in one of the most central but yet quiet spots of Sosua. The atmosphere is best described as relaxed. Harmony, simplicity and respect for our guests are our most imported issues. Casa Valeria is the perfect place for you quiet holiday in lively city. The nine hotel rooms and studios in the around the pool build cottages are equipped with the all the desired comfort. In our restaurant you can enjoy your breakfast in the morning and our chef will prepare you best dishes for dinner. The menu consist a large variety of international dishes and will change with the seasons. In our bar you can relax and enjoy our fresh made cocktails, juices or local drinks. 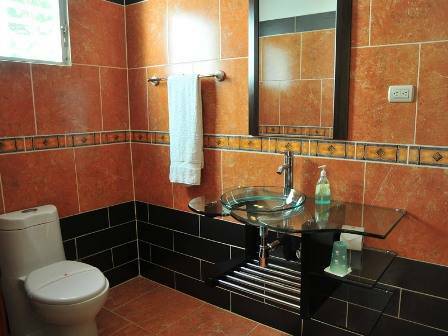 At this site you will find all the information about our rooms, the surroundings and activities in and around a Sosua. Our team will be ready to welcome you and to make your stay at our hotel unforgettable. Trough their own patio, 6 of our rooms have direct access to the pool, the pools terrace and sun beds. 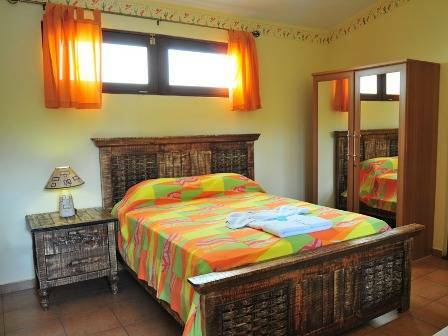 The rooms are all tastefully decorated, with a combination of the Hacienda style, beautiful mural paintings and design. In the morning you can enjoy your breakfast in our restaurant, or you can enjoy your breakfast in the privacy of your own patio. If the sun makes you thirsty, you can always have a drink or try one of our cocktails in the bar. Hotel Casa Valeria is open every day of the week, throughout the whole year. We hope that you will feel yourself at home, just like we do, in our cozy and comfortable hotel in the centre of Sosua. The restaurant Casa Valeria is situated directly next to the hotel. 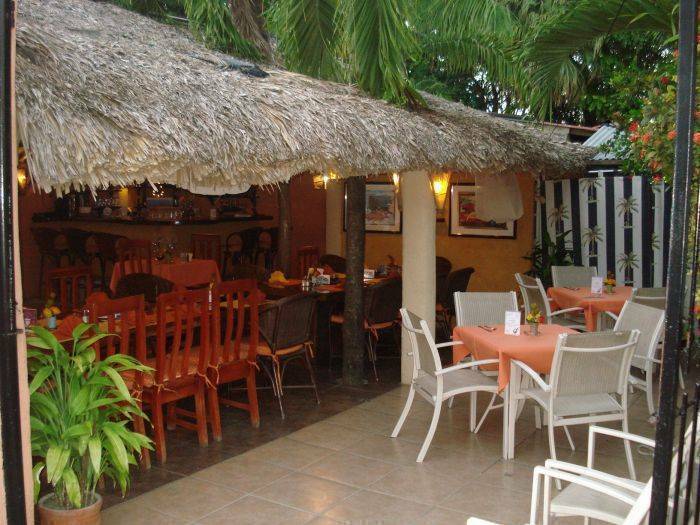 Here you can have breakfast and dinner or just enjoy one of our cocktails, Mamajuana or other drinks at the bar. Starting from 2 o clock in the afternoon and in the evening we serve a menu with a large variety of local and international dishes, which you can enjoy in an relaxed atmosphere prepared by our experienced chef and staff. From 8 oclock in the morning we serve our breakfast menu where you can enjoy an American Breakfast, an European Breakfast or choose from the a la carte breakfast menu. Of course we also serve fresh fruit and several fruit juices. Our staff has many years of training and experience, working at several restaurants. We have developed our menu to appeal to the diverse tastes of our international patrons. Our meals are prepared with extreme care and high quality ingredients. We wash our vegetables very carefully. Our goal is to serve a very tasteful meal, cooked with great care and outstanding cleanliness. Sosua is situated at the North side of the Island. Gladly we will help you to find a good flight connection from The Netherlands, Belgium or Germany to Sosua. Flights from Brussels and Dusseldorf are usually cheaper than flights from Schiphol, Amsterdam. Once arrived in Puerto Plata.. If requested, our taxi will wait for your arrival at the airport and take you directly to the hotel, transfer time from the airport to hotel is approximately 10 -15 minutes. Please notify us in advance of your arrival time, the name of the airline and the flight number. Cost of this transfer will be only 500 Peso (around US$ 15, 00 ). Also you can get a Touristic taxi from the airport to Casa Valeria, the price will be around 25,-US$. If you arrive at another airport as Puerto Plata, please contact us for more information. at the border of the centre of Sosuas nightlife with many restaurants and bars, only 5 minutes walk from the gorgeous bay and beach of Sosua, you will find Hotel, Restaurant & Bar Casa Valeria. 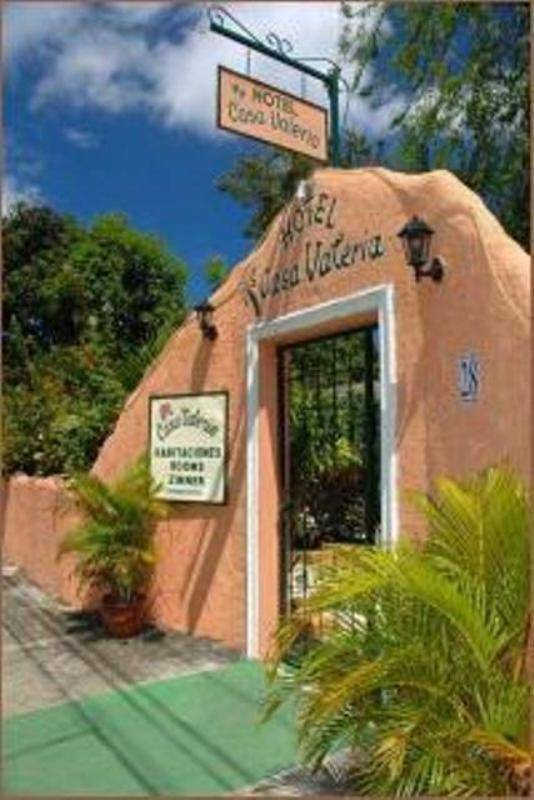 You can stay in one of Casa Valerias hotel rooms or two studios. These rooms are, except one, situated on the ground floor. Trough their own patio, 8 of our rooms have direct access to the pool, the pools terrace and sun beds. The rooms are all tastefully decorated, with a combination of the Hacienda style, beautiful mural paintings and design. In the morning you can enjoy your breakfast in our restaurant, or you can enjoy your breakfast in the privacy of your own patio. If the sun makes you thirsty, you can always have a drink or try one of our cocktails in the bar. Hotel Casa Valeria is open every day of the week, throughout the whole year. We hope that you will feel yourself at home, just like we do, in our cozy and comfortable hotel in the centre of Sosua. 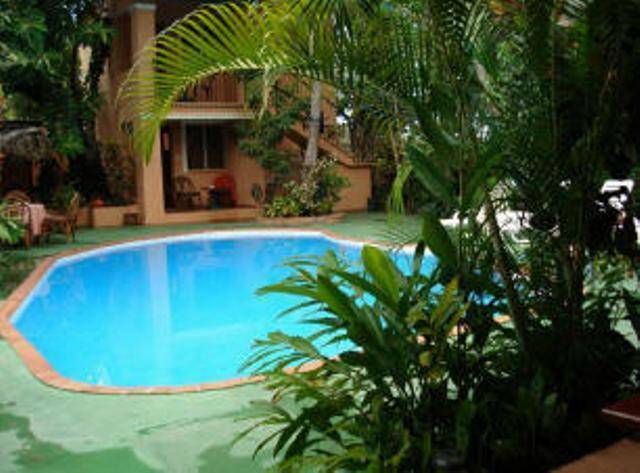 The Hacienda style hotel is situated in one of the most central but yet quiet spots of Sosua. The atmosphere is best described as relaxed. Harmony, simplicity and respect for and between our guests is our most important goal.